Make an Erasmus stay … And after? For Erasmus students in non-selective fields, studying at a foreign institution is rewarding. This valorization is not only felt as a gratification because of the personalization of his career by the student, but results in a concrete and material return on investment, which is verified objectively by the path of Malia or Loïc for not take only two examples. Malia is awarded a research allowance for a thesis in history, which she passes brilliantly in less than four years. A few months after her defense, she obtained an executive position on permanent contract as scientific manager of a private institute. Today, she participates as a scientific leader in the creation of another institute and has also recently been offered a postdoctoral contract in Luxembourg. Loïc enters the IAE (Institute of Business Administration), where classes are taught in English. He is currently a manager in a multinational company in Lyon, he plans an internal mobility to train in the United States. For these students, as we have seen, studying abroad is the subject of a differentiation approach with a view to profitability, it is a thoughtful step, a strategy within the organization of a training project, in a period of inflation of qualifications. Many Erasmus graduates, who are now abroad, believe that they have been curbed in their desire to climb the social ladder by stigmas that are based on their studies or by an exacerbated competition in their region of origin. In France, graduates of provincial universities often use Europe as an alternative route to the “rise to the capital”, a traditional path for those who wish, and still wish, a career ( Smith, Favell, 2006 ). To emigrate to Paris to find a job up to one’s qualifications is always a borrowed route, but perhaps more exceptional, because the competition is exacerbated. Faced with the proliferation of the offer of university training, recruiters fall back on “sure values”, that is to say on graduates of the Parisian grandes écoles. Due to new information and communication technologies, time and space are shrinking. It is in relation to each of the national and regional contexts that it is necessary to distinguish between situations where study abroad is an almost obligatory stage of social success (for some Italian students), pathways refuges in a massive university (for a part of French students), or choices that may compromise national positions if the distance becomes permanent (for some British students). It goes without saying that these types do not exhaust the diversity of the social issues of expatriation, and that within each country can coexist the three situations. Erasmus +, how to use. Practical presentation by CIDJ. The development of international executive mobility and transnational strategies enable a whole series of games and social dynamics, the social effects of which differ according to national, economic and social realities. And these games are integrating European education systems more and more early. Enchantment of life abroad, great satisfaction displayed by the Erasmus students interviewed on their return, an enthusiastic picture of the “Erasmus spirit” does not omit a more mixed reality, made of conditions of university studies in Italy, and more generally, an economy increasingly oriented towards flexibility, mobility coupled with precariousness for a segment of the population that will be driven to change jobs frequently and move more, sometimes across borders, to work? Because international student mobility becomes a necessity for some, it could be argued that it entails captivity. Indeed, some students opt for mobility for the sake of adaptability. International mobility generates learning strategies, always more precocious and varied in linguistic and cognitive acquisition, in a society that is becoming internationalized. Inclusion in local networks of notability remains however an essential element of the professional capital of the liberal professions ( Noiriel, 1988 ). Thus the trips to which the official texts of the European Commission would like Erasmus graduates to aspire, require each time to start a long process of social representation in order to reconstitute its “notoriety” and networks. Expatriations are therefore not exempt from constraints and can sometimes lead in the long term, because of the remoteness of the decision-making centers, to perpetual mobility or to immobility, by the impossibility of a return, often desired, on the places of his training or his history. The development of Community mobility programs can not be read independently of the new social composition of migration flows and a certain “globalization” of the economy. The Erasmus stay is the beginning of an intensive migration culture. Undoubtedly, mobility generates mobility. And this is a well-understood interest of the members of the European Community, who want both to achieve cosmopolitan citizenship and to make people more mobile and adaptable to change. 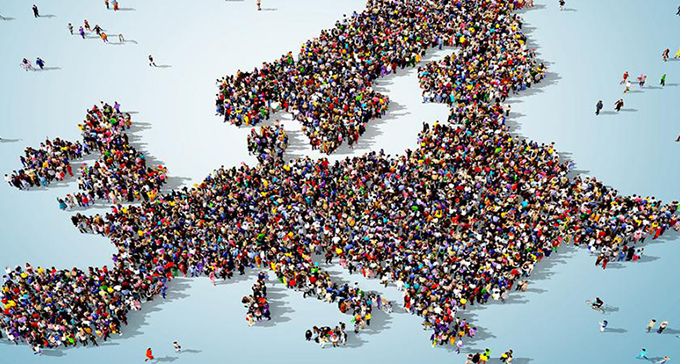 Erasmus students by their educational and professional backgrounds, by the multiplication of the relationships they establish during the stay, have indeed internalized the imperatives of social integration, today European, without the cultural or political participation is yet sought. The weight of social structures has not diminished. These are the injunctions that have changed. To simplify, we could say that the aspiration to cosmopolitanism, internationally, corresponds to a desire for social climbing (the elite is often associated with it). The middle classes, and even certain popular categories whose “localism” is despised, are today legitimately attracted by the “international” which gives a certain social recognition. But they are also confronted with the social recomposition of migration. As in higher education, quantitative growth, the increase in the number of mobile students does not guarantee, in itself, the democratization of access and success for everyone in the professional world. As the number of qualified higher up, the composition of migration flows is changing. The choices made by Erasmus students thus remain closely linked to their job prospects at the end of the university system, which are themselves extremely sensitive to the general state of the segments of the national labor markets. For some Erasmus graduates, there is indeed a difficulty in re-importing at home the social resources linked to the status of “privileged foreigner”, because it is free of administrative and financial problems in another country.The international finally allows “to argue”, “to play with the signs of his social rank” ( Wagner, 1998 ). These opportunities to distinguish themselves are an important element of the attractiveness of the Erasmus stay for ambitious middle-class children. Identification in a mobility model is, in a massive university, a way to leave social positioning problems unresolved. This social escape probably plays a lot in the desire to leave. Although many Erasmus graduates are fond of emphasizing their freedom or autonomy, the variability of their degree of maneuver depends largely on their national and disciplinary origins and subsequently on the type of profession in which they will be engaged. Departure abroad is a choice made in relation to other possible alternatives, and the range of these choices is determined within national academic and professional structures.